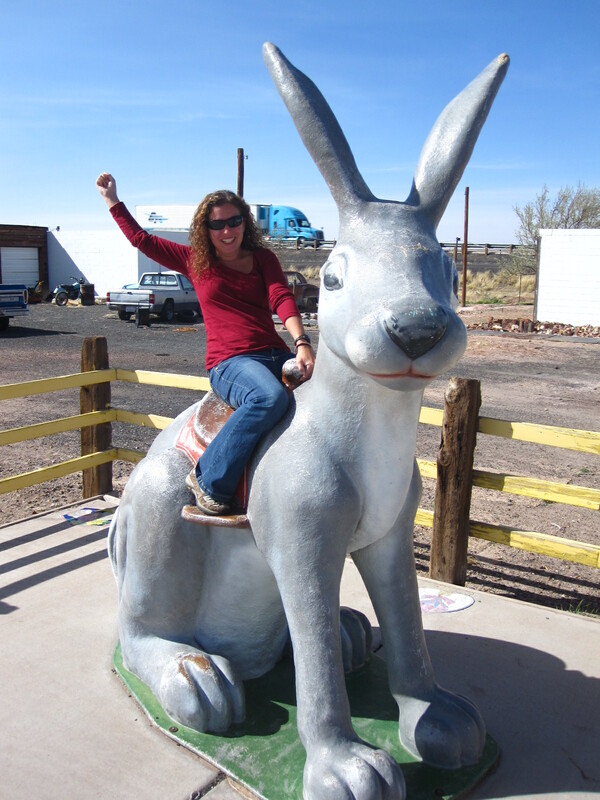 Things I learned today: I can climb a giant jackrabbit if I mount it from behind; Winslow, Arizona has made it remarkably easy to re-enact the classic Eagles song, “Take It Easy” for cheeseball tourists like myself (see photo below); there is no such thing as too much green chili salsa or refried beans (though Ayaz might beg to differ); a giant meteor probably won’t hit earth any time soon and if it did we’d be screwed; and spending a night in a teepee isn’t really all that better than spending it in the scary-cheap motel down the road. 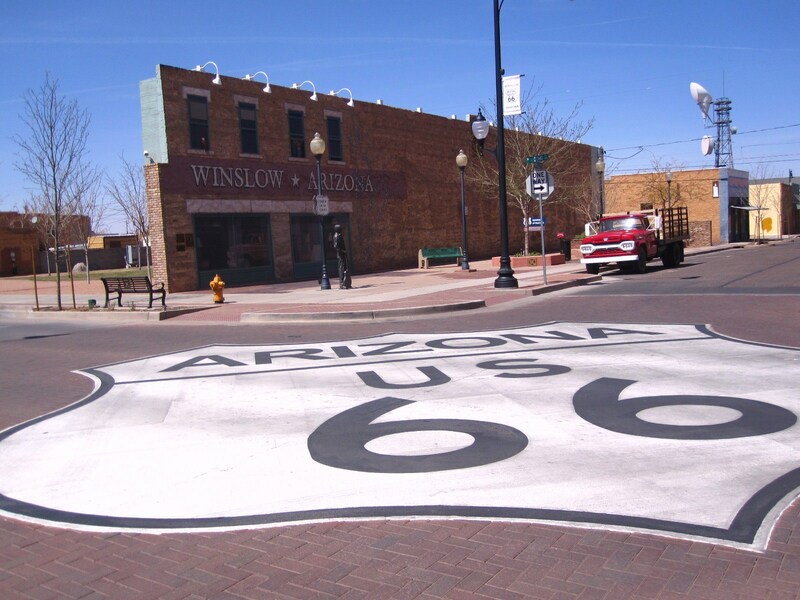 Route 66 is as quirky and awesome as I’d imagined it to be, though frankly, I think the photos of the retro kitsch that’s found along the road really pump up expectations – a lot of the iconic sights (like the twin arrows) are kind of puny and almost missable. Regardless, what’s really overwhelming is the huge sense of tradition as I drive where countless cars have cruised before, following in the tire tracks of many an epic road trip, and taking part in one of America’s greatest journeys. Along the road (and mind you, a good deal of Route 66 has been replaced with Route 40), I’ve seen the monstrous meteor crater in the desert, and was standin’ on the corner in Winslow, Arizona only to later be that girl, my lord in a flatbed ford, stopped by the famed Jackrabbit Trading Post, and popped into the Wigwam Motel (but opted to spend the night in the Knight’s Inn – who can resist $30 rooms?). The good news is, the journey’s just begun…Check out more photos on my Flickr photostream. **A huge thanks to my friend Tom Boutell for sharing the Hunter S Thompson quote with me today.